Since this is unofficially, “Christmas Stocking Week”, I thought I’d do a round-up of my favorite stockings floating around out there in Blogsville this year. If you haven’t settled on which one to make, maybe something here will catch your eye. Simple and easy Robert Kaufman stocking from Fabricworm. 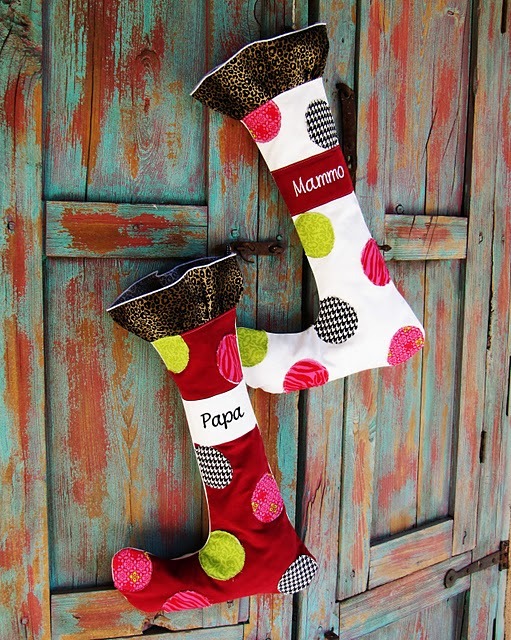 Love, love, loving this Whimsical Stocking (pattern included) from Positively Splendid. If you liked my quilt as you go stocking from this post, you’ve got to check out the awesomeness brewing over at Cluck Cluck Sew. 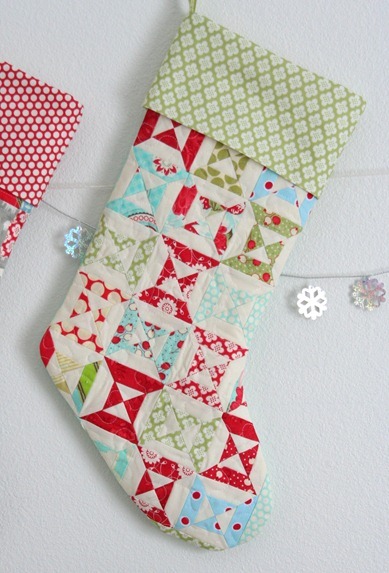 Is this quilted and lined stocking adorable or what? More quilted and embroidered goodness over at Stitched in Color. Looking for something more kid friendly? Check out this adorable Toy Story stocking from Sew Dang Cute. So much stocking goodness, it makes my head spin. 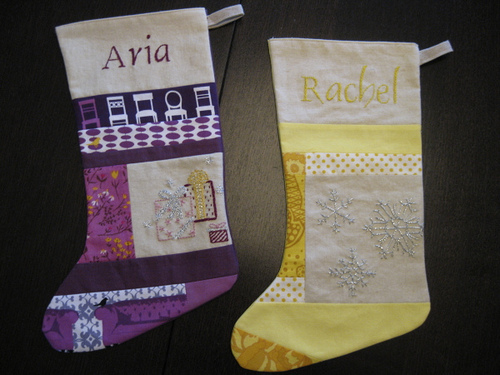 Don’t forget to come on back this weekend for our Christmas Stocking Linky Party! that Toy Story stocking is pretty cool!